There are no comments for Andrew Johnson (1808-1875). Click here to post the first comment. 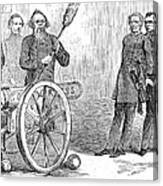 ANDREW JOHNSON (1808-1875). 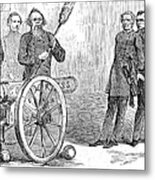 Seventeenth President of the United States. 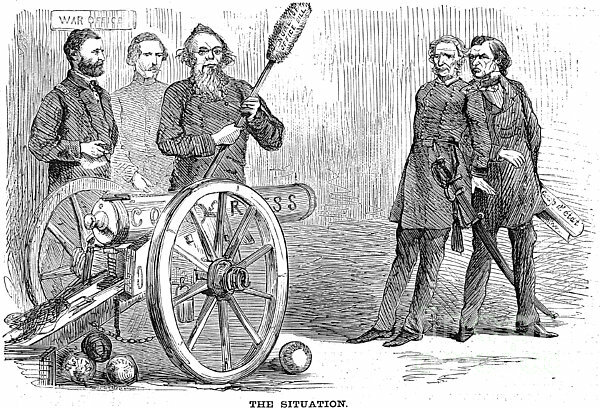 General Ulysses S. Grant looks on while Secretary of War Edwin Stanton prepares to load and fire a congressional cannon against his designated successor, Lorenzo Thomas, and President Andrew Johnson (far right). 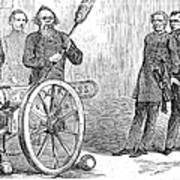 American newspaper cartoon, 1868.